Dunsboroughs' finest in 5 star beachfront accommodation. These stunningly designed holiday homes are located right on the shore of Geographe Bay in Dunsborough. Spacious and fully self contained the Regency holiday homes feature the latest in architectural style, luxury, interior concepts and furnishings. Choose from 2 bedroom 2 bathroom houses to 5 bedroom 5 bathroom.The ultimate in relaxation, the houses offer plasma televisions,sound systems,air conditioning,spas,private BBQs. 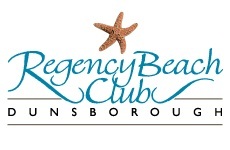 Ideally situated to the town centre,Regency Beach Club is just a 5 minute walk to cafes and shopping.The closet wineries are a scenic 5 minute drive. The beach at Regency is a sheltered bay ideal for families,no roads to cross,just superb views across the turqiose waters of Geographe Bay. Nice rooms in a good location, friendly staff happy to help. The place is big and spacious. Price is a bit high, but worth it. From Dunsborough town centre head down to the beachfront (via Dunn Bay Rd),there you will come to a roundabout,turn left (Geographe Bay Rd),then left again (Gifford rd).We are at number 77 Gifford Road Dunsborough beachside. A cancellation will mean loss of deposit may be transferred to be used at another time. Credit Card Bond is required on checkin. We do not accommodate school leavers.